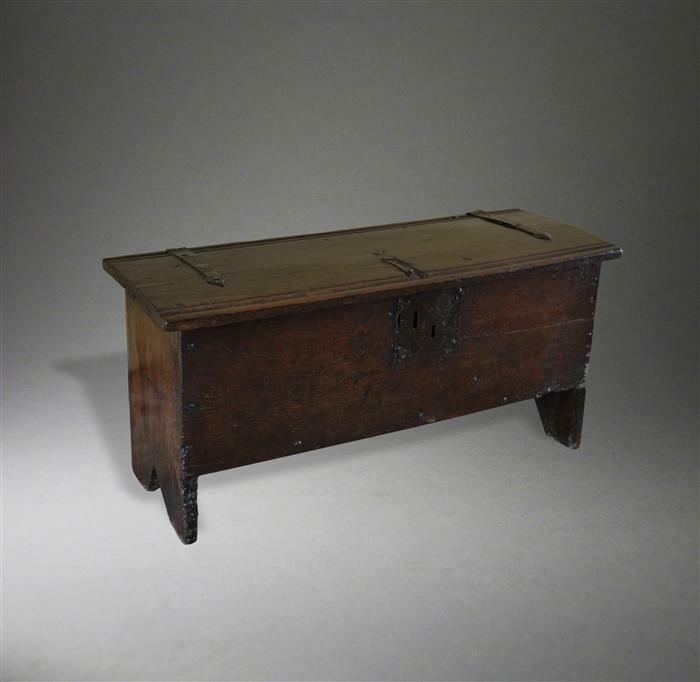 Suffolk House Antiques | A rare Charles I child's chest. A RARE CHARLES I CHILD'S CHEST. A real collector's piece, this charming early 17th century child's chest is a wonderful size and has excellent untouched colour and patination. It is priced at a very realistic £1175 (similar examples made a great deal more in the Clive Sherwood sale a few years ago) but it is the summer season and things are quiet! Further details including dimensions can be seen in the Coffers and Boxes Section of the website. On another topic, Anglian Water in their wisdom have decided to close the road at the west end of Yoxford, but the shop remains open and can easily be accessed from the east or A12 end.